Welcome to Trusted Nanny. Find a Nanny easily. This is a Cleaner available as a full-time! 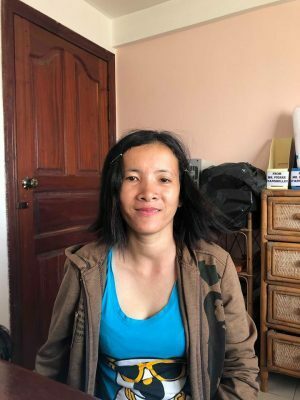 Mrs. Mao Dana is a woman who has experience as a cleaner at Camko City apartment. She is very friendly, kindly, smile, honest person and polite. She is hardworking but she can’t use English. 2017 – 2019: Worked as a cleaner at the Camko city apartment. Trusted Nanny. Find a Nanny easily.